This Heat Needs Some SunTervention! These days, there’s no escaping from the sun’s unbearable heat. Apparently, even if I wear a hat and sunglasses, the pavement, grass, water, and other surfaces can still reflect the sun’s rays thus making escape almost impossible! My (and your) only defense is a good sunblock to mitigate the damages caused by the sun’s harmful rays. Frankly, we might all need some SunTervention! SunTervention is Snoe Beauty Inc’s heavy duty solution to damages caused by the sun. As we all know, wearing a product with SPF everyday (and not just when going to the beach) is very important as sun damage is one of the leading causes of premature aging. More pressingly, it’s important to block off harmful UV rays as these may cause skin cancer. 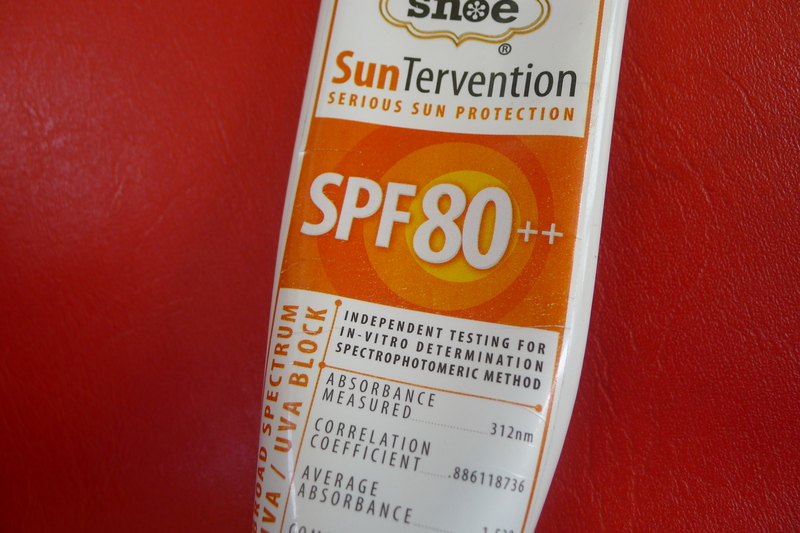 With an SPF of 80++, it can block off and disperse almost 98% of UV radiation. Not only that, it provides a broad spectrum sun protection, which blocks both UVA and UVB rays. The difference? Well, the UVB ray, considered as the “tanning ray”, is only strong enough to penetrate the outer layer of the skin (epidermis). It causes our cells to produce melanin thus resulting in tanning, freckles, age spots, and hyperpigmentation. 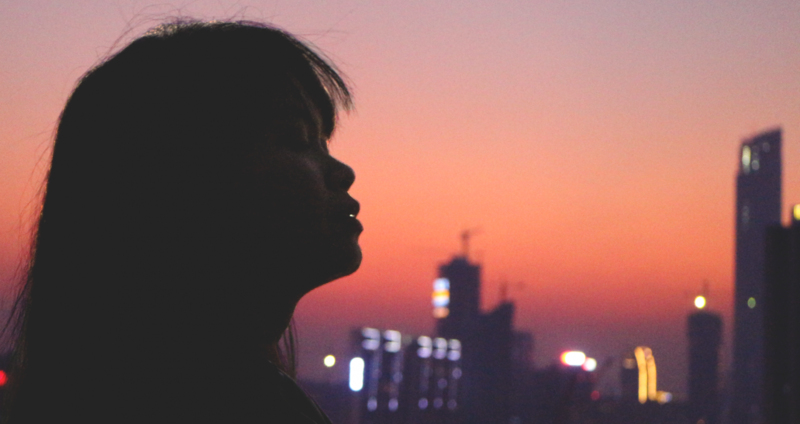 On the other hand, UVA rays were considered the safe way of tanning back in the 80’s until scientists found out that these can actually cause more damage than UVB rays as this is strong enough to pierce through the epidermis and into the dermis – the skin’s second major layer. These rays actually hasten the aging process as these shrink the collagen and elastin found in the dermis, eventually causing the skin to droop. Moreover, UVA rays can also dilate the blood vessels leaving the skin with a constant red flush. White spots and dark spots may also appear with constant exposure. 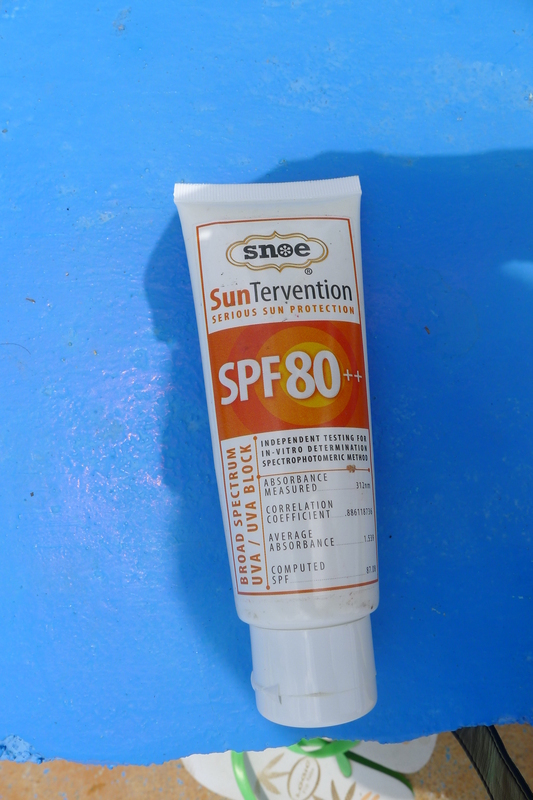 Typically, I tested Snoe’s SunTervention when my family and I went swimming last Easter. I passed it on to my cousins, nephews, and nieces so that they too can be protected from the sun. 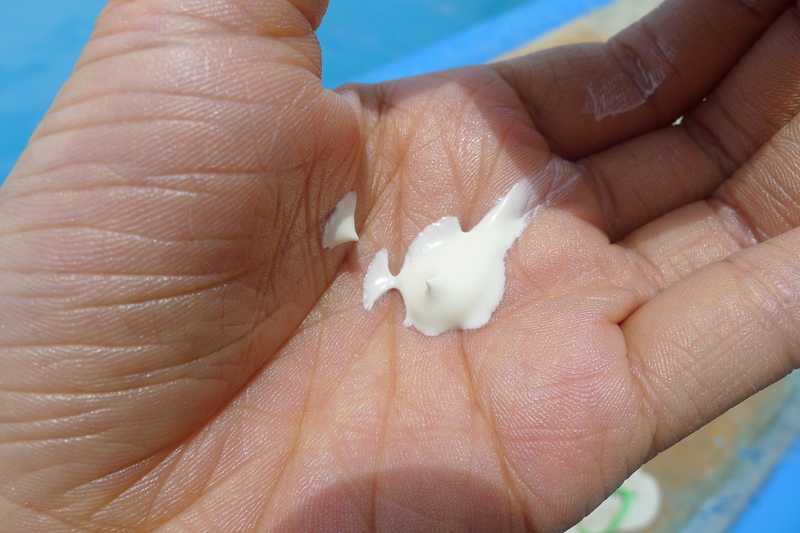 It is advised that sun screen is applied 20 to 30 minutes before sun exposure to allow it time to settle into the skin. I applied it before lunch as I was intending to go swim after. It had a normal sun screen smell that was all right. I noticed that it had a bit of trouble staying on while I was in the water but nonetheless, it doesn’t claim to be water resistant. Apparently, water resistant products make use of acrylate technology, which makes these tacky and sticky – quite uncomfortable for daily use. SunTervention, however, felt like a heavy duty moisturizer on the skin, without the goopy feeling. Besides, we all know that we always have to reapply our sun screens every 40 to 80 minutes anyway, especially when swimming, as no sun block has forever-lasting effects. yeah serious sun protection! i didnt know it costs P699, wow. 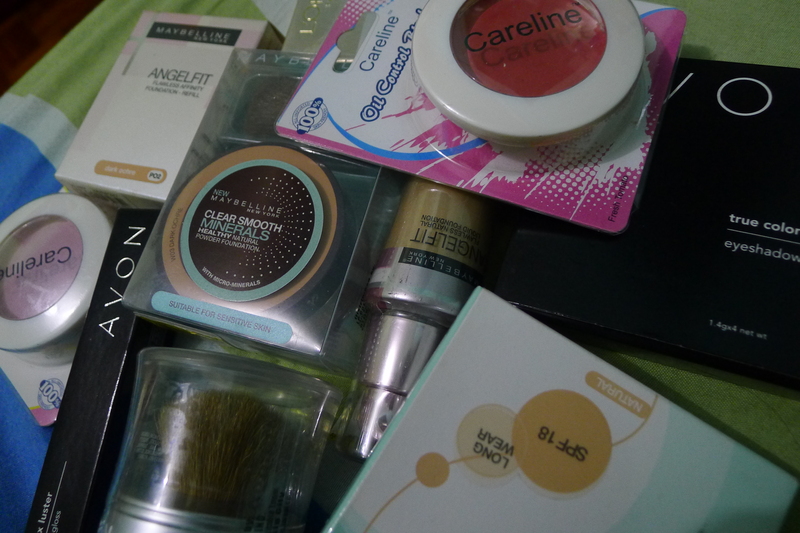 but i think it’s totally worth it cause it has spf80 already! Yes, even if i’m a guy and not that into vein i still use a sunscreen cause it helps esp when i am out in the beach or @the pool with friends! Great post! I always use sunscreen and wear a hat as well! After a bad experience with a local sunscreen I used for swimming I’m kind of skeptical about local sunscreens. Did it keep your skin from burning? 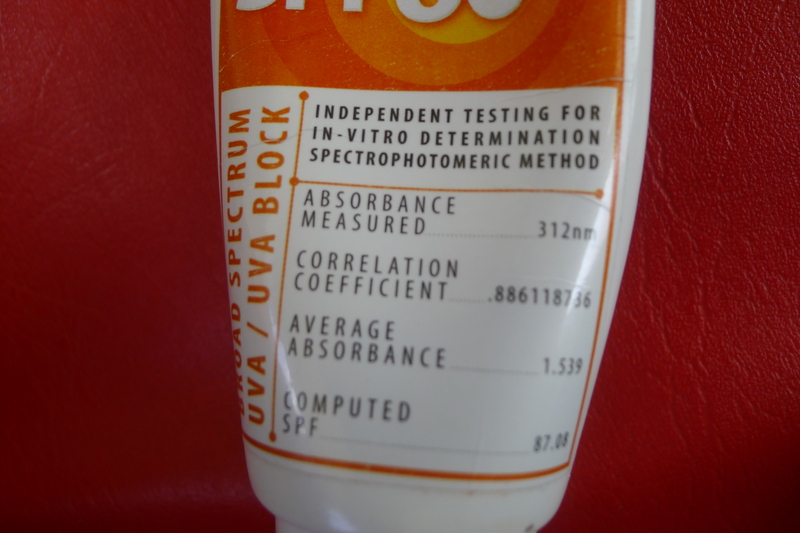 SPF80 is amazing, that’s almost total sun protection. For P699, how many ml? I wonder how many uses it can lasts. Hi Mich, thanks very much and yes we really have to take sun protection seriously. With the super scorching heat these past few weeks, I think I need to buy a tube of this. I used to only apply sunblock when I go to the beach, but the damages UVA and UVB can cause really scared me!